In May this year, Adobe launched a brand new suite of apps called Adobe Spark – tools that enable both mobile and web users to first of all create and then share visual content (graphics, animated videos, web stories, social media posts) all over the net. You may remember a past blog post here on the Creative Studios website entitled ‘How To Make A Presentation Using The Free Adobe Voice App’. Well, essentially, the new Adobe Spark is effectively an upgrade and rebranding of Adobe Voice, as well as two other mobile apps that Adobe already operated. 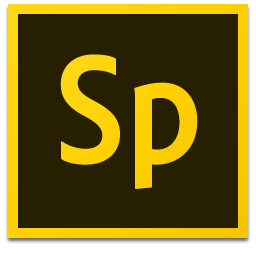 This means that Adobe Voice has become Spark Video, Adobe Slate has become Spark Page, and the Adobe Post app has become Spark Post – all of which now operate under the free umbrella programme of Adobe Spark. These new apps are now complemented with brand new web experiences for desktop users, allowing for the creation of a whole range of visual content using just your browser (i.e. no download required for the web app). Importantly, one of the great ideas behind Adobe Spark is that the suite has been designed to allow anybody, regardless of their design abilities, to create outstanding, professional-looking visuals to promote their businesses, blogs or brands, or indeed students to present their work in a superlative fashion as if it had been put together by a professional designer. If you were already familiar with Adobe Voice, Post and Slate, then you will immediately feel right at home with the new Spark apps, as, essentially, this is largely a rebranding with some cool new features added. However, the big difference comes in the fact that the iOS apps now fully integrate with the Spark web service, meaning that content can now be created on a mobile, tablet, laptop, desktop or Chromebook, and your work automatically syncs between them all. If you’ve got any old projects on the go from the old apps then don’t panic – they’re all still there and can be accessed as normal. We certainly think – and we’re sure that you’ll agree – that this move to unify all of these content creation tools under one roof makes great sense. For a start, now that you can use your laptop or desktop to work on your creations, the reach of Adobe Spark is immediately broadened – you no longer need to be an iOS user to access them since they’ve been brought to web (not to mention the fact that solely using your phone or tablet for design isn’t always a particularly simple or refined process). Furthermore, since the old apps were largely used for similar purposes – i.e. the creation of visual content – the unification of them makes it far easier to pick out the right tool that you need for the job at hand (rather than all the tools in all the different apps having different names, now they’ve all been rebranded as one “Spark-ified” version). In just a matter of minutes, you can use Spark Video (previously Voice) to create animated videos. It should be noted, however, that Spark Video is not a tool that can be used for filming – rather that you use it to combine text, images, icons and themes in an animated presentation, and then speak (or hire an actor to speak) over the story to create your video. Spark Page is all about crafting web stories. Once again, the simplicity and beauty of the tool is only enhanced by the professionalism of the finished results. You can create photo albums, magazine-style travel stories, online newsletters, reports or anything else that you could possibly think up that would look amazing as a web page. What’s more, all of the imagery and text that you use all pulls together in a highly visual way using what Adobe calls the tool’s Glideshow feature, which creates fluid, elegant motion as your images carousel beautifully across the page. Spark Post is the tool to use for creating professional graphics – and again, it just takes a matter of minutes and you don’t need to be a professional designer to make beautiful imagery. Users of Photoshop and InDesign will recognise some of these pro tools’ more advanced features, such as the ability Post gives you to layer images with filters and text – but this is all rendered much more accessible to regular, untrained users of Adobe products who only need to drag and drop and tap buttons to make these features work for them. One that will most certainly be popular with social media marketers. Want to learn more about Adobe products and training? We offer courses for all skill levels in Photoshop, Illustrator and more. We hold regular workshops or we can come to you – if you’re really busy we also offer online training. Contact us for details.